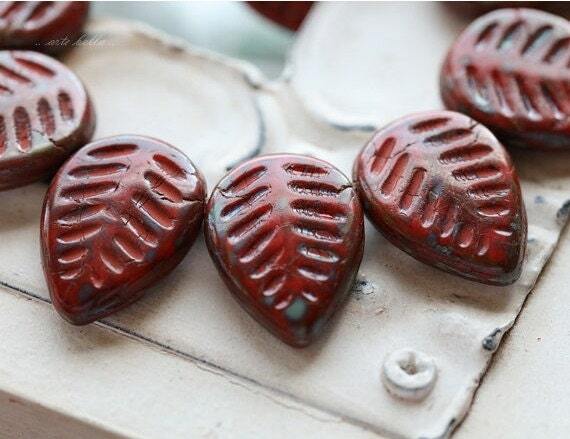 Bright red base glass with an earthy Picasso finish. - love how the color has settled into the veins. These leaves are so beautiful - haven't seen this color elsewhere. This is one of the reasons I shop here - she has the best inventory! Thank you! 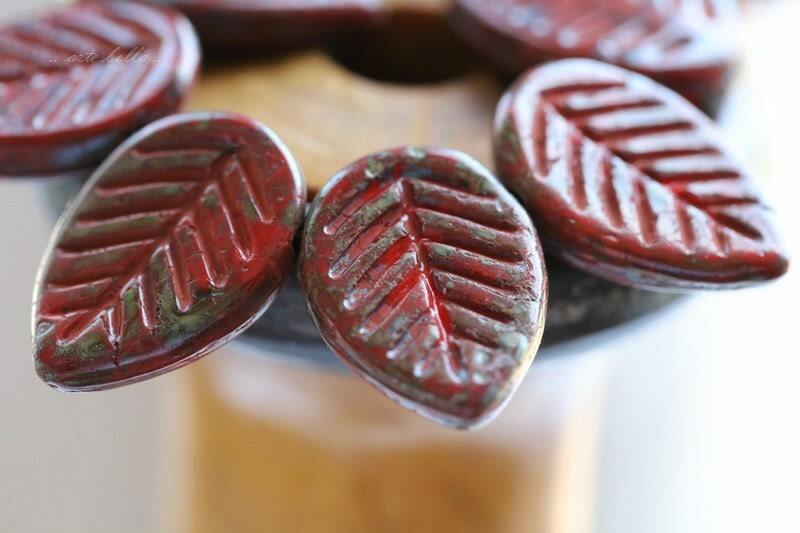 I just love Czech glass leaves. I just love the leaves added into pieces strung. 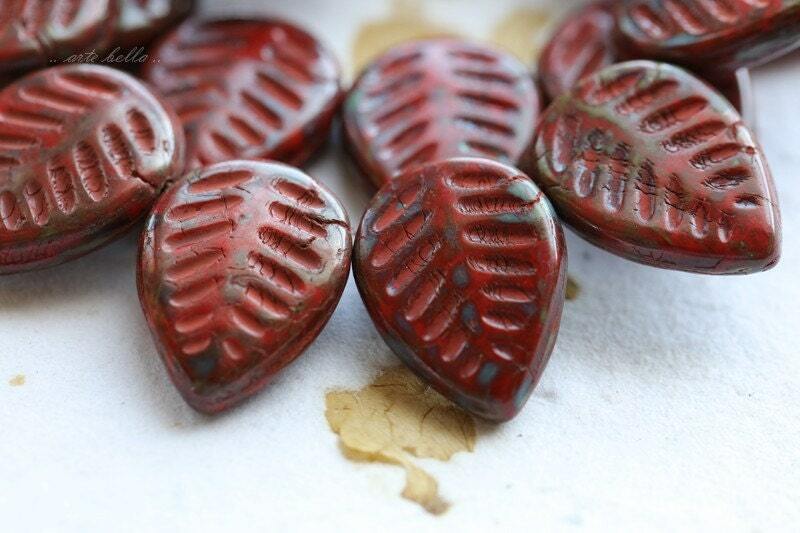 they will be strung into a necklace with some of the others from your shop, perfect! 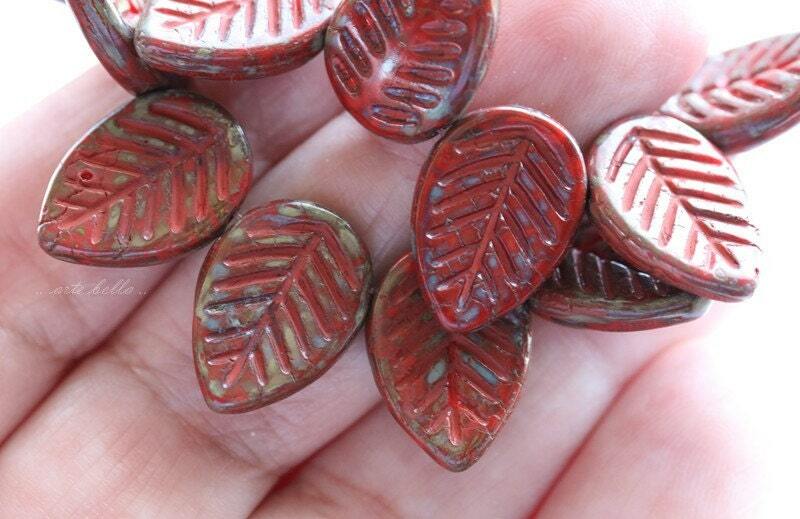 Gorgeous beads, great prices & fast shipping ~ Perfect, as always from ArteBella! Thank you!